So, I finally went ahead and did the fanboy thing. 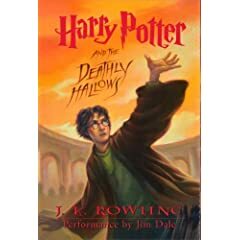 Grabbed my cloak, tucked in my wand (not in my jeans back pocket, I am safety conscious), and Continuing the tradition started with “Order of the Phoenix”, I went ahead and watched the “Harry Potter and Half-Blood Prince” almost a day before it is released everywhere. And since it is hard to review a film like this for me, here are just some of the thoughts, fresh from watching the movie (maybe a long one). 12 hours after I started the “Harry Potter and the Deathly Hallows”, I knew almost all the answers to almost all the questions plaguing me, and I can’t wait to dive in for a second read. Caution: The review is based on first read/first impressions, and so may not contain hidden things which we know as JKR’s style. Also, this contains a summary of the book, so SPOILERS AHEAD. 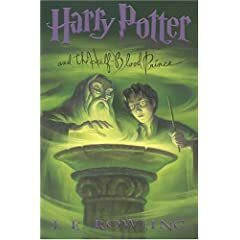 This is part of my series of the reviews of all 7 books in “Harry Potter” series. Well, it's an open secret that I write the blog for your comments (keep them coming). And now, you can even rate the posts. Don't worry, I will be adding 5 to any stars you give me. 2007 - Not a "Kissing Book"
Sachin: Great batsman, or Greatest batsman?